Here’s the last of four pylon sign installs that Sign Doctor completed for the new Stocklands shopping centre in Hervey Bay. Due to the sheer size of the pylons the installations had to take place early morning to aviod any traffic congestion. With the assistance of Wide Bay Crane Hire the jobs went off without a hitch. Thanks for your assistance guys, the new giants look fantastic. We have a proven track record with the numerous agencies we work with. That’s because we understand the importance of deadlines and getting the job done right, the first time, on time, every time. In Real Estate we understand that image is everything. First impressions can WIN the deal. That’s why we’ve developed an easy to use, professional approach that will enhance your image and improve your sales figures … FAST. You’ll have full control over your campaigns and we’ll provide you with total confidentiality. Add our fast turn around times, and you’re onto a winner. 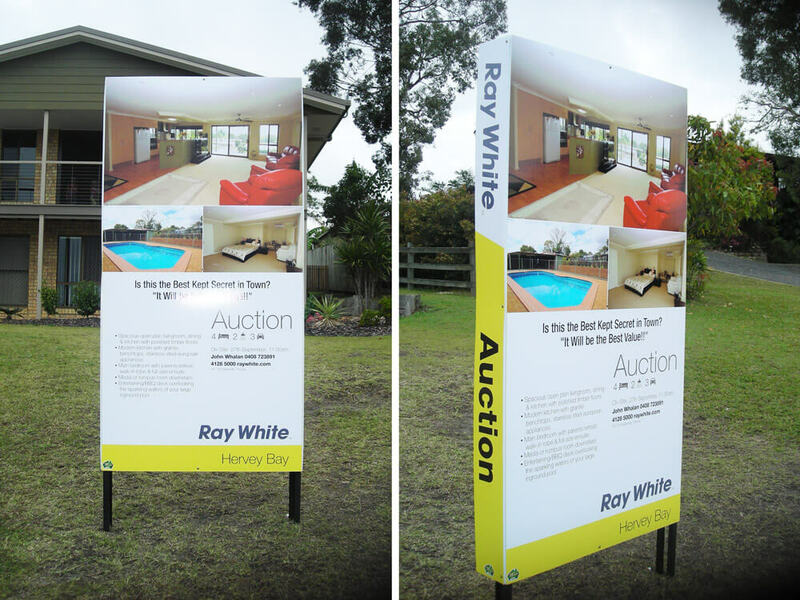 We’ll take care of all your promotional signage, billboards, banners and flags. We can supply and install for you anywhere along Australia’s East Coast. Contact us today to find out about more details about our client portfolio.